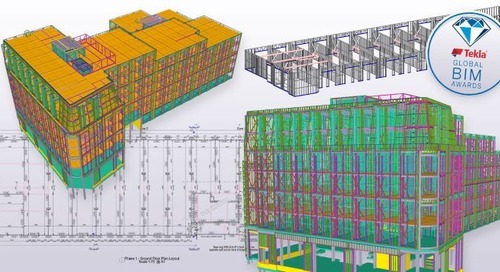 As a nationally recognized pioneer in constructability, Ruby+Associates Structural Engineers relies on Tekla Structures, Trimble’s industry leading BIM software, to identify structural limitations early on, capitalize on opportunities to reduce construction costs, collaborate with other project teams and ultimately, create more efficient structures. In January 2015, Hillsdale Fabricators/Alberici was awarded the contract to erect a 17,000+ ton, 14-acre shade canopy over Hard Rock Stadium, home to the NFL’s Miami Dolphins and the University of Miami Hurricanes football team. The shade canopy was part of a $500M facelift that would modernize the venue and make it attractive to the Super Bowl selection committee. The canopy, which provides shade for the majority of fans, was designed to withstand Category 4 hurricane winds, and survived its first test when Hurricane Irma hit Miami in September 2017.
complete steel erection. To meet the project’s tight schedule and overcome its unique construction challenges, Hillsdale engaged Ruby+Associates, Inc., to develop the erection procedure for the structure. 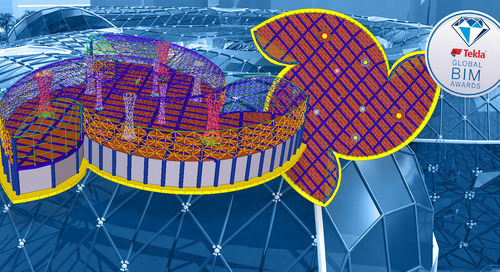 As on many previous projects, Ruby turned to Tekla Structures for 3D modeling, rigging planning, clearance review and fabrication detailing. Ruby’s innovative erection method required minimal shoring and no alterations to the existing stadium structure. 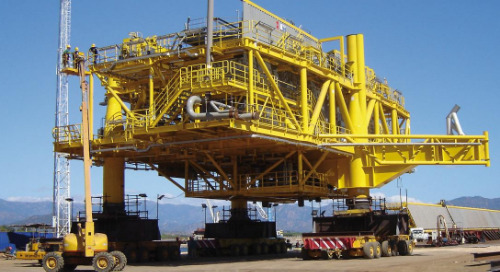 Using Tekla Structures, the Hillsdale/ Ruby team broke the structure down into parts that could be pre-assembled, maneuvered into place and erected using large mobile cranes while maintaining a safe work environment, from installation of the first piece through the project’s completion. The construction sequence was developed to keep the loads imposed on critical portions of the canopy structure in balance, allowing work to proceed independently in each corner of the structure. Once the corners were completed, the end zones and sidelines were constructed. Ruby incorporated two 450-foot sideline trusses and two 350-foot end zone box trusses into four enormous lifts. Each truss was transported to the site in sections small enough to fit on a truck, then sub-assembled into larger sections in the far reaches of the parking lot. 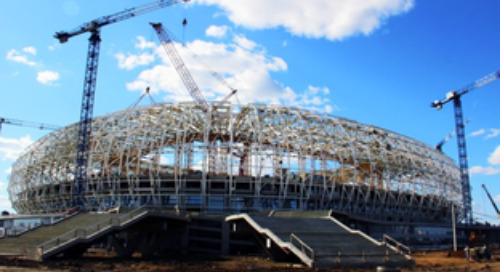 The sub-assembled components were then transported to a location immediately adjacent to the stadium and assembled into the sections up to 450 feet long and weighing 1.4 million pounds. The fully assembled trusses then had to be carefully inserted between four corners of the canopy that had already been erected. 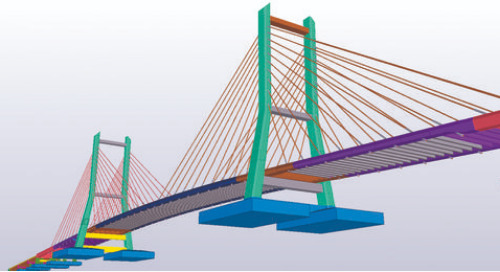 The detail in the Tekla Structures model also helped Ruby determine how and when to complete complex connections. When the trusses were erected, there weren’t just one or two connections, there were as many as 20 connections t that had to be made simultaneously. 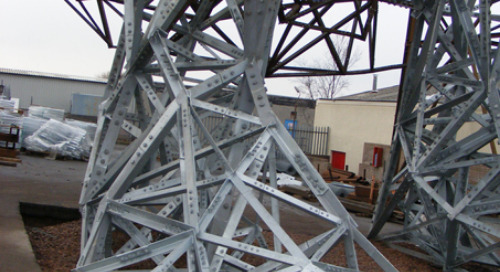 Ruby evaluated the connections in the model to decide if it was best to mount splice plates on existing steel or on a member that was going to be erected. 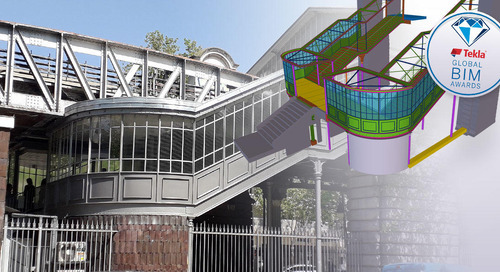 Ruby utilized Tekla Structures’ fabrication detailing capability as they developed temporary steel works. Steel jacking frames, temporary tendons, lift lugs and support posts were all part of the erection procedure. 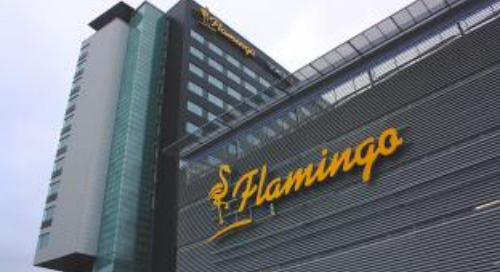 “Having the capability to generate the details in-house gave us the confidence that they would fit exactly where they needed to go. 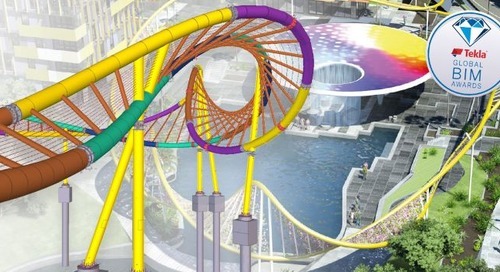 It also shaved time off the schedule as we could send the Tekla model directly to Hillsdale’s fabrication team,” said Twarek.